I want to share a complete set of photo tutorials for all the special stitches used In a Slipstream of Colour, so here is the final one…ironically for the first part of the pattern, but in time for the Ravelry pattern launch tomorrow! I originally abbreviated this mock cable to 1/1 RC – 1/1 Right Cross, in the free version of the pattern. But the “C” in this stitch probably should have stood for Confusion, not Cross. This is NOT cabling without a cable needle. Therefore, I’ve renamed the stitch 1/1 RX – 1/1 Right Crossover, to differentiate it in the Ravelry pattern. I expect it’s really an unvention, but I’ve yet to find it described elsewhere online. 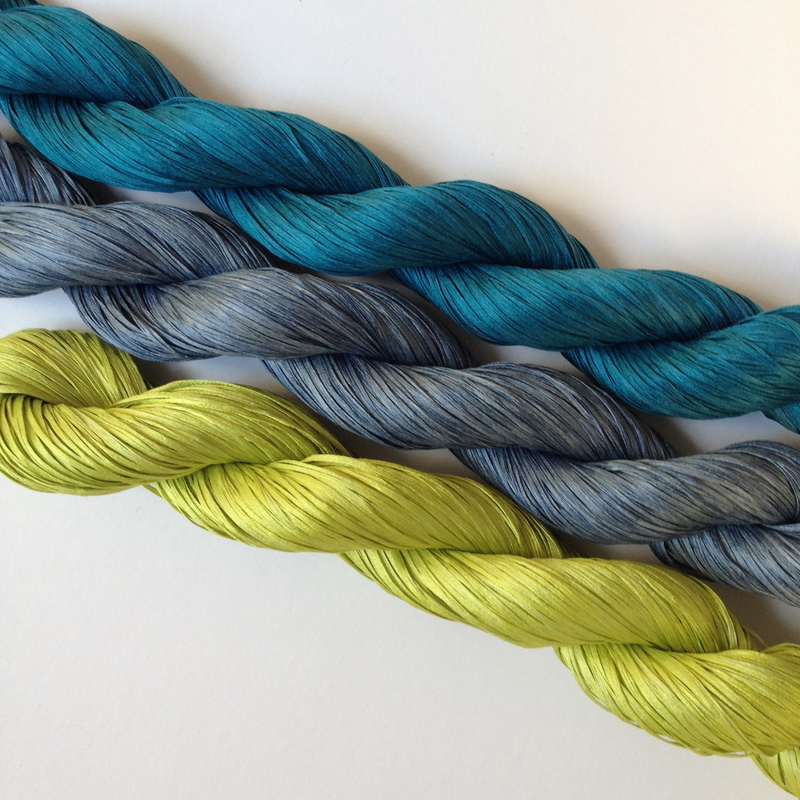 The fourth clue in the FREE Slipstream Mystery Knitalongs is out today! 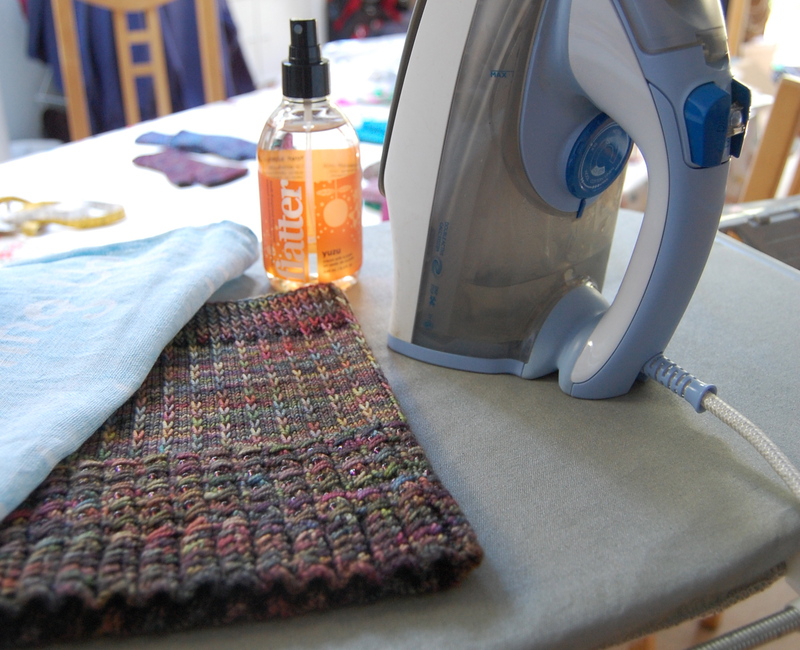 Here is the next photo-tutorial for the special stitches used In a Slipstream of Colour. 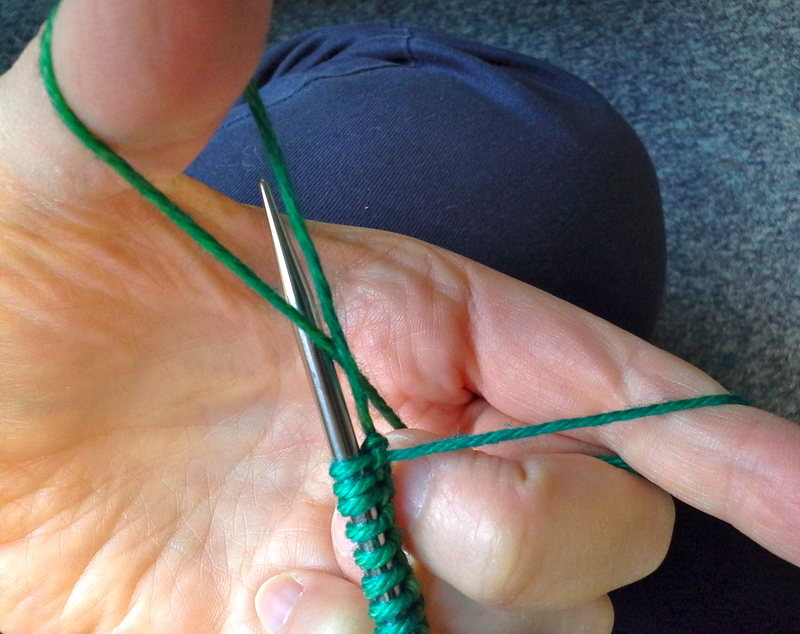 This is how to make W1, worked through the back of the loop, and how to handle the double-wrapped stitch on the following round. 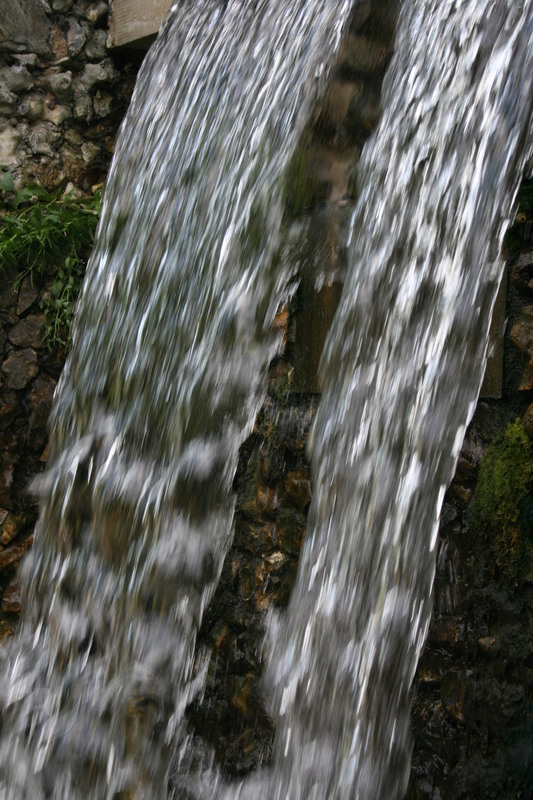 I love the idea of this waterfall as a solid representation of air flowing; it’s much easier to photograph! The perfect backdrop for the Slipstream photo shoot. 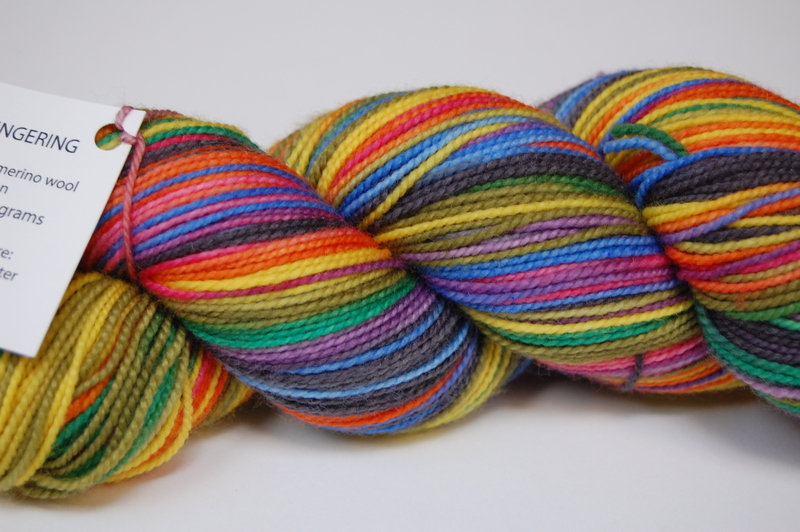 The third clue in the FREE Slipstream Mystery Knitalongs is out today! Nature’s Luxury – 100% silk ribbon-sytle yarn called Geisha. I wanted the whole palette! I admit I wasn’t planning to go to this new British yarn & knitting show. Then I read the exhibitor list. The Unwind team organised a truly amazing line-up. I’m now so glad I went. I met friends old-and-new – of the people and yarn variety. Long-tail cast on…the best version.